If sampling some spit-roasted pork is one of the things you have yet to cross off of your summer bucket list, then this weekend is your chance. 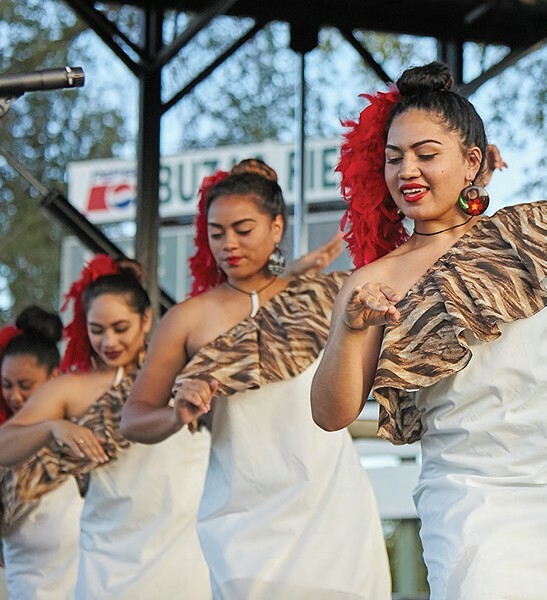 The North Salt Lake Polynesian Cultural Festival is celebrating its fourth year with a two-day event at Legacy Park (1140 W. 1100 North) on Friday, Aug. 17 (4 p.m.-10 p.m.), and Saturday, Aug. 18 (9 a.m.-11 p.m.). In addition to taking in the cultural sights and sounds of Polynesian dancers, music and crafts, the festival hosts over 14 food vendors. Expect to see poke bowls, Kalua pork, barbecue chicken and several varieties of otai, which is a blended fruit smoothie made with fresh mango and pineapple topped with ice cream. Plus, prepare to enjoy free samples of traditional pork cooked on a spit. Call 385-271-4265 or email info@pcfnorthsaltlake.com for more information. August is here, which means it's time for the Downtown Farmers Market to expand its operation to Tuesday evenings from now until September. In contrast to the Saturday morning market, the Tuesday market is a bit more intimate and reserved. Designed for shoppers on their way home from work or in the mood for a more low-key farmers market experience, the Tuesday market is a scaled-down version of its Saturday cousin. Visitors can still expect the same great local selection, and it's always a fun weekday jaunt for those who stop by. The Tuesday market is held weekly at Pioneer Park (350 S. 300 West) from 4 p.m. to dusk, every Tuesday night until the end of September. As one of the country's early adopters of the now ubiquitous cupcake shop, Gigi Butler has brought her brand of nationally renowned cupcakes to Logan. Butler started baking cupcakes after years of pursuing a music career in Nashville. Prompted by the popularity of cupcake shops in New York, she opened her first location in 2008. Over the past daceade, Gigi's Cupcakes stores have popped up in 24 states, and Butler was on hand to celebrate the store's grand opening with Logan residents. Gigi's Cupcakes (975 N. Main, Ste. 120, Logan, 435-752-2233, gigiscupcakesusa.com) boasts a slew of Butler's signature recipes—many of which are gluten free—and it's sure to be a welcome addition to Logan's dessert scene.